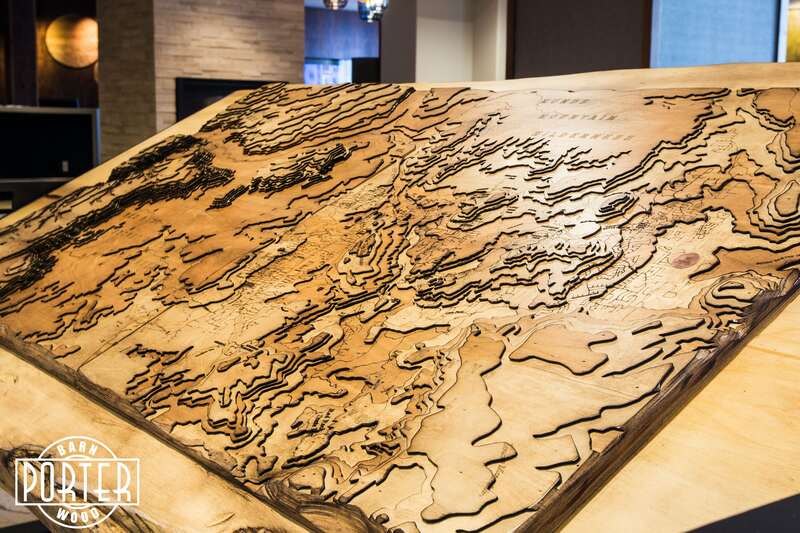 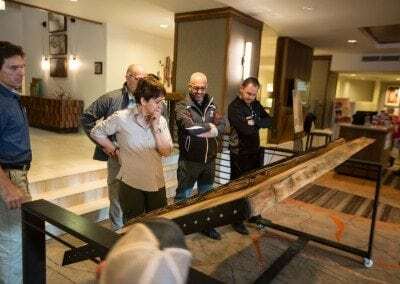 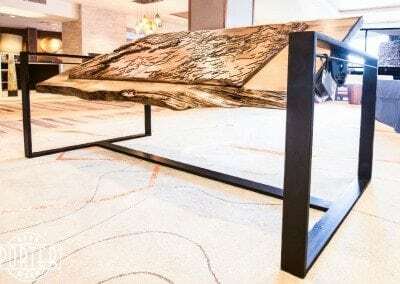 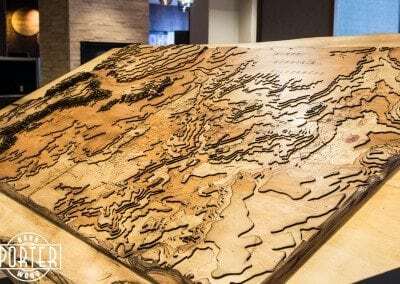 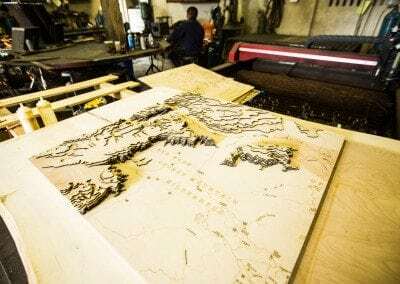 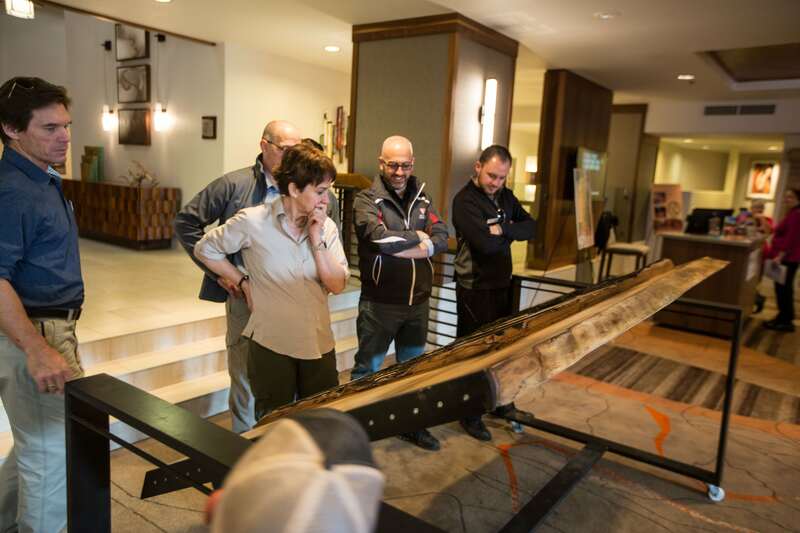 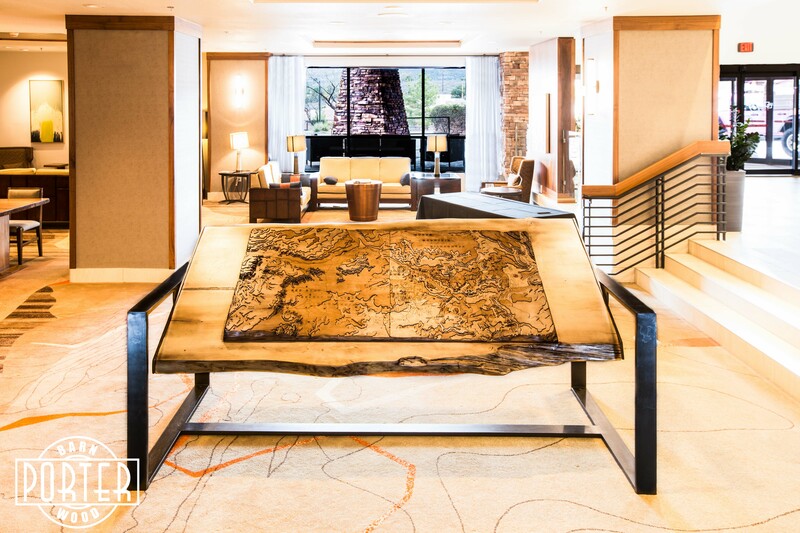 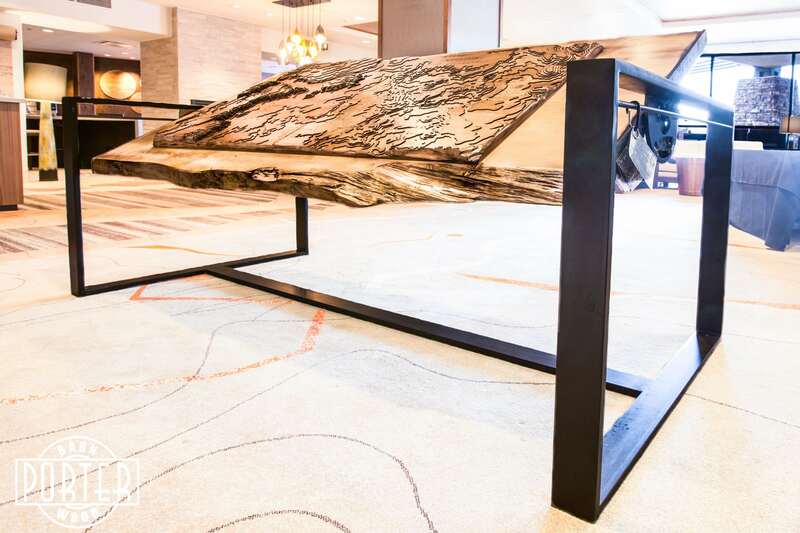 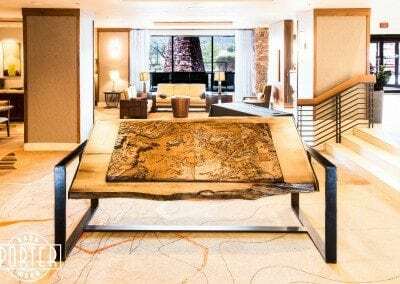 The Hilton in Sedona asked us to design and build a custom topographical map table from one of our live edge ginkgo slabs. 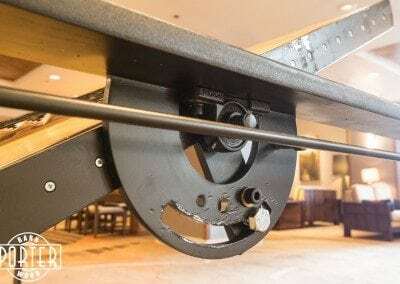 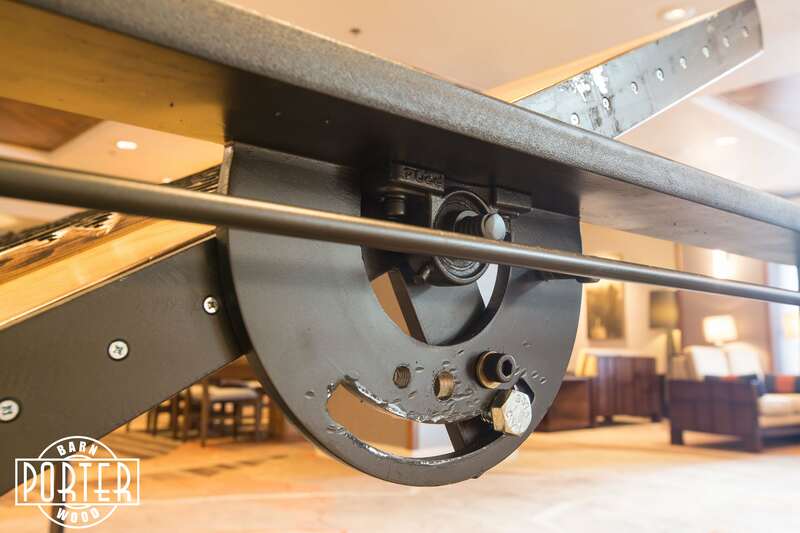 This table tilts to 22.5º and flat with the use of a custom designed cam and ball bearing set. 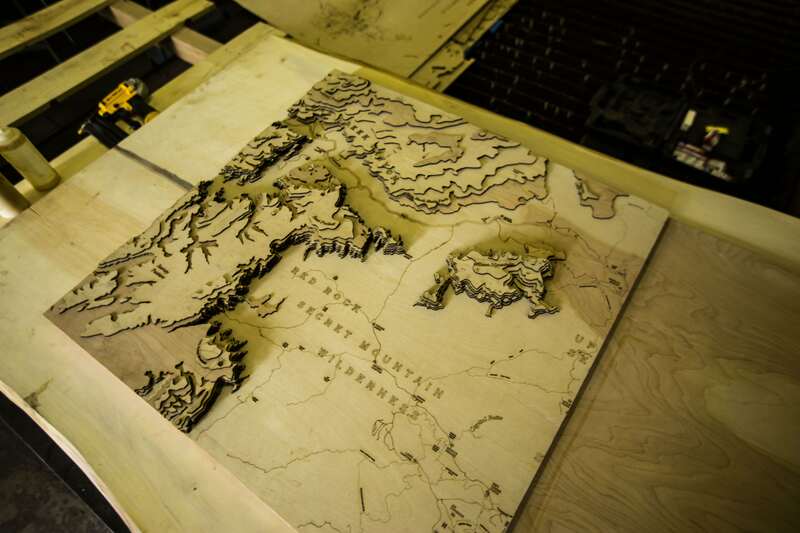 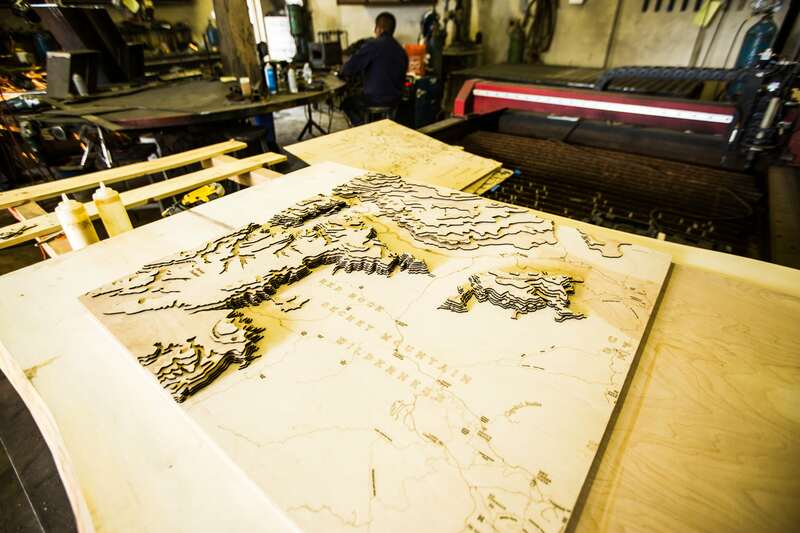 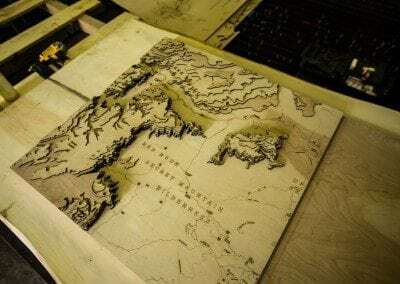 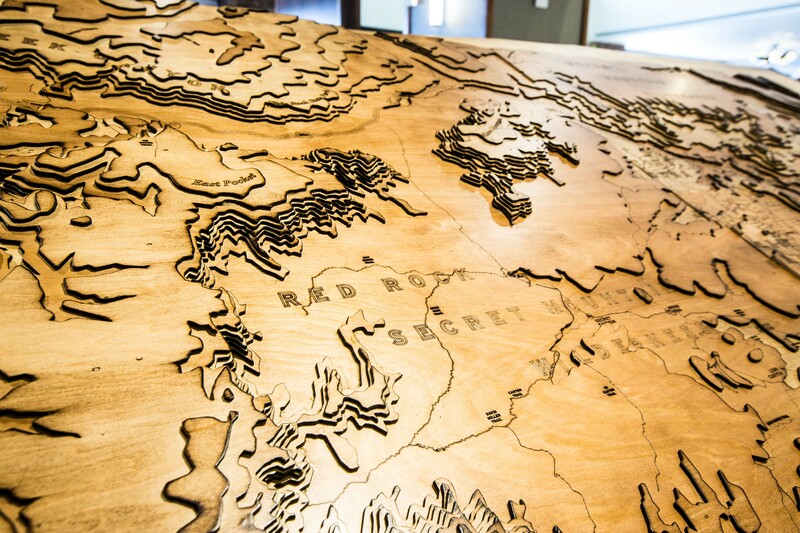 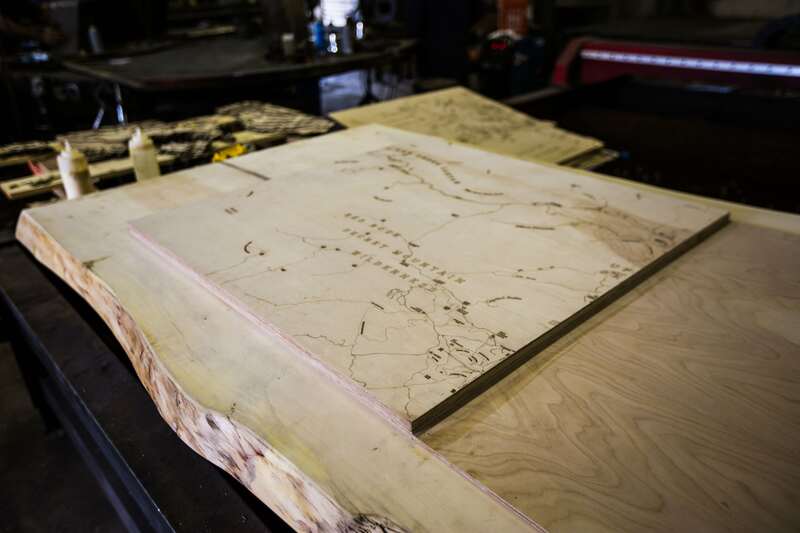 The map consists of many individual laser engraved and hand painted layers. 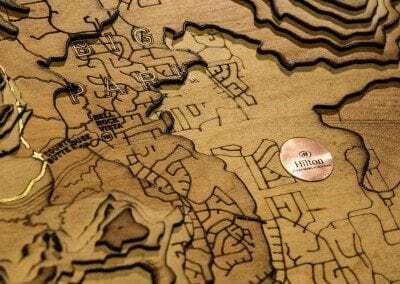 The base is made from solid 1″x4″ steel and 1/2″ plate, and has 1/2″ rods to hold some of the trail map info on carabiners. 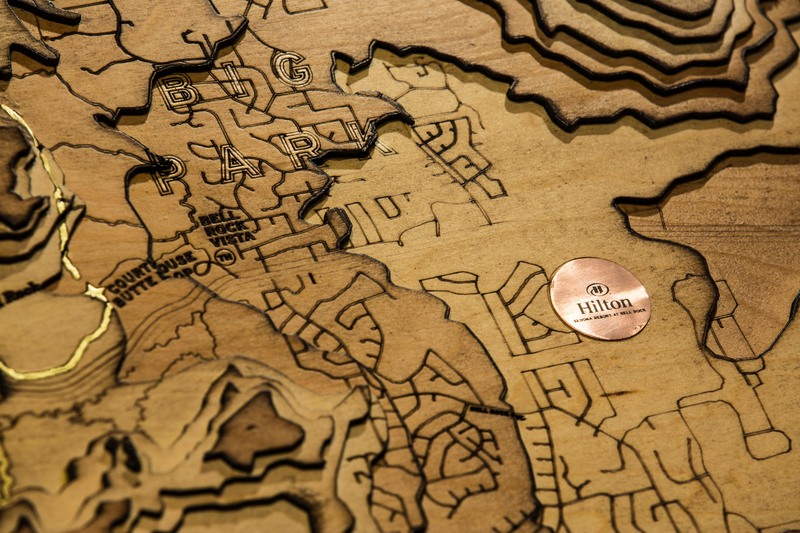 The map highlights different trailheads near the hotel, and has a copper custom engraved Hilton marker to show the hotel’s location. 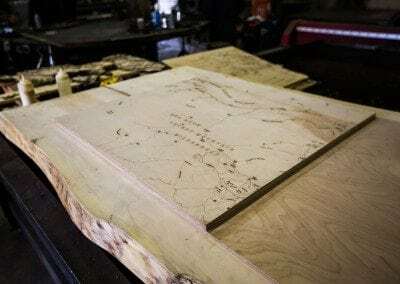 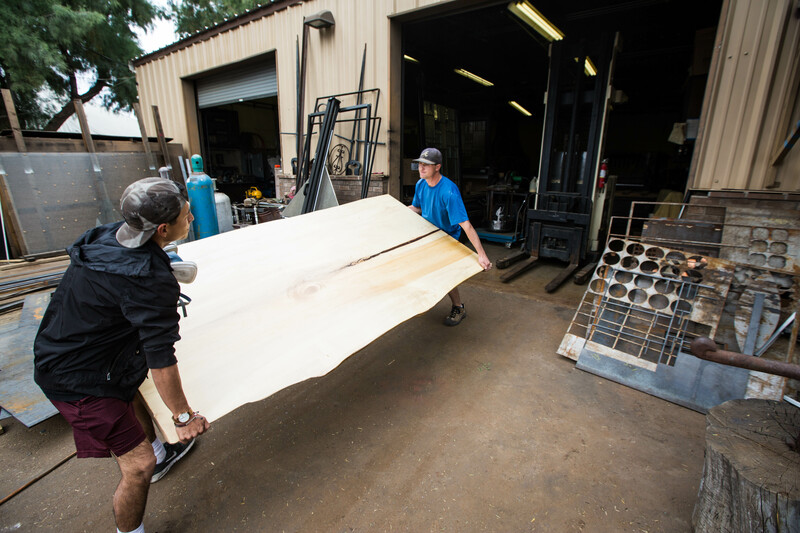 The ginkgo slab measures approx. 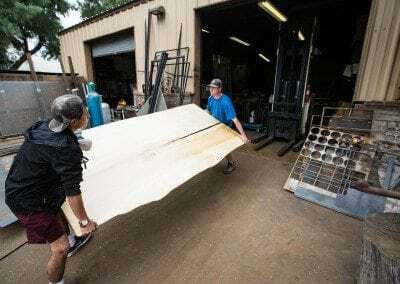 48″x96″ across and is one solid piece of slab we gathered in Pennsylvania.